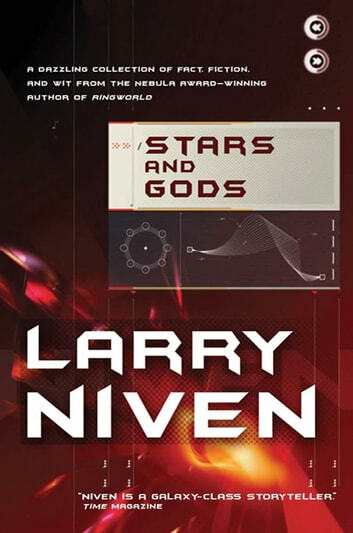 Larry Niven is the New York Times bestselling author of such classic science fiction novels as Ringworld and Destiny's Road. One of his previous collections, N-Space, was lauded by the Houston Post as "Outstanding . . . hours of entertainment," while Publishers Weekly called it "A must for science fiction fans." A follow-up volume, Playgrounds of the Mind, was praised by Kirkus Reviews as "Grand Entertainment." Niven returns with the sequel to his most recent collection, Scatterbrain, which gathers an equally engaging assortment of Niven's latest work, all in one captivating volume. Here are choice excerpts from his most recent novels, including Ringworld's Child, as well as short stories, non-fiction, interviews, editorials, collaborations, and correspondence. 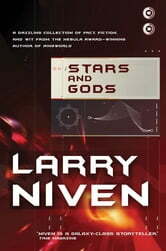 Stars and Gods roams all over a wide variety of fascinating topics, from space stations to conventional etiquette. Give yourself a treat, and feel free to pick the brain of one of modern science fiction's most fascinating thinkers.